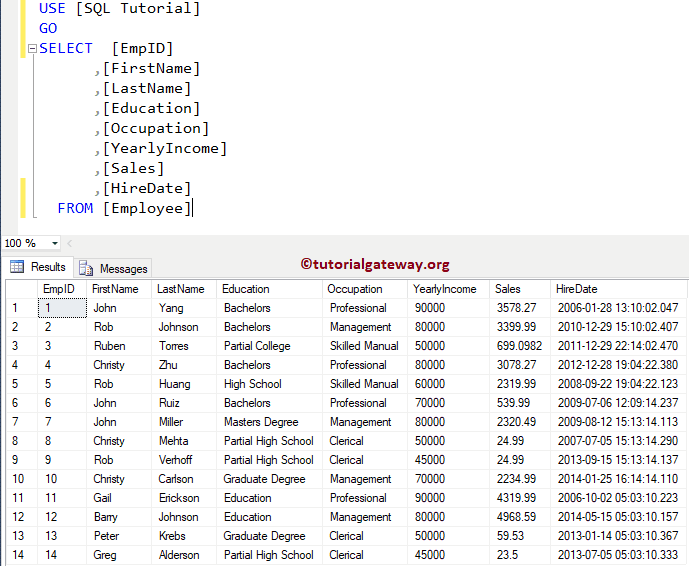 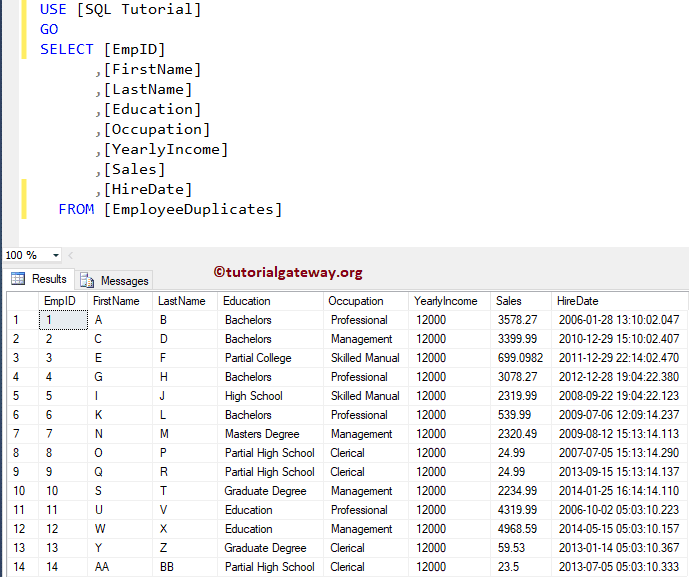 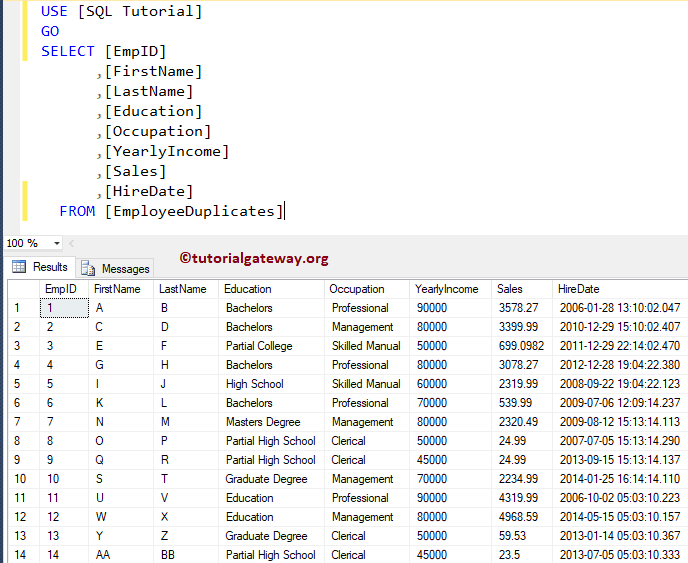 In this article we will show you, How to write a SQL Query to UPDATE columns in a table using the SELECT Statement in SQL Server with example. 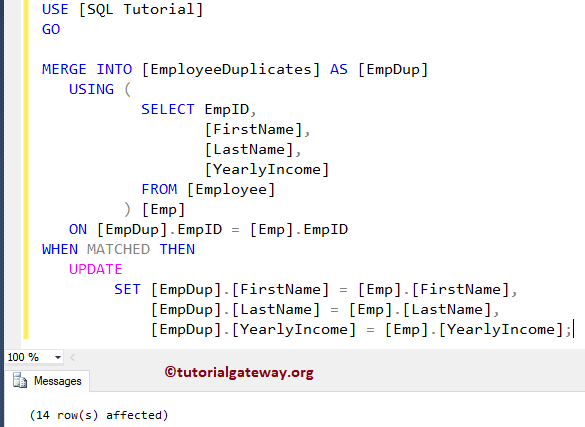 Below table will show the data present in Employee Duplicate table. 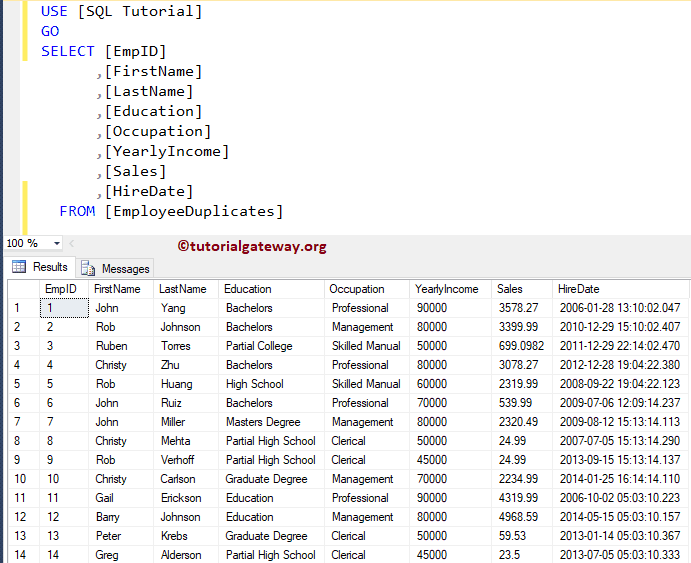 Our task is to update the columns (firstname, lastname, and Yearly Income) in this table with the above specified table. 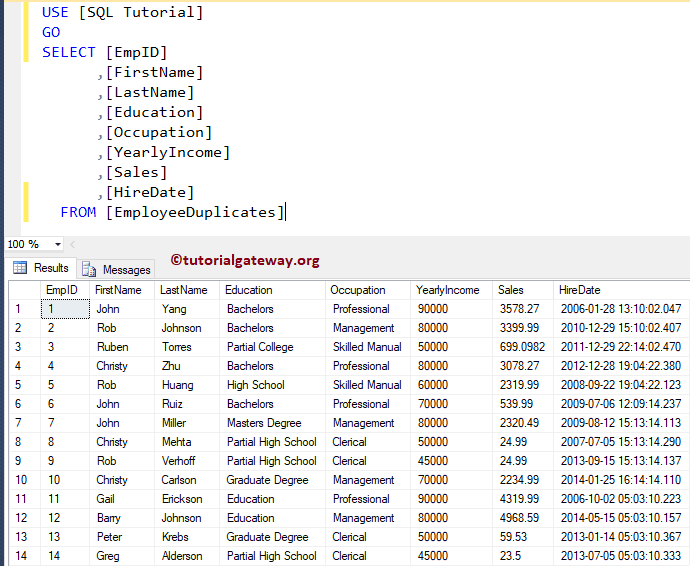 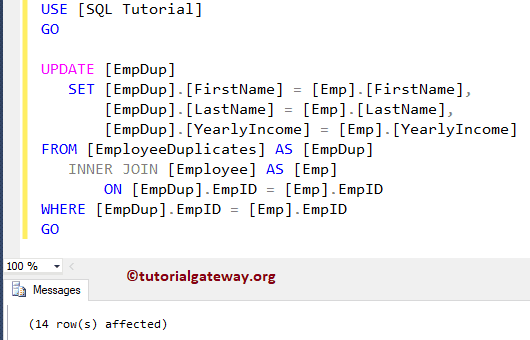 In this example we will show you, How to update from select statement using the Subquery. 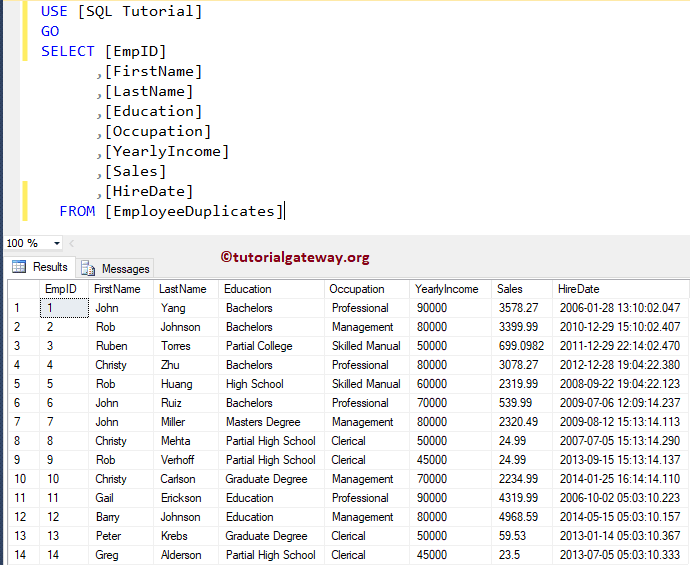 Above specified example might be a good option to update single column. 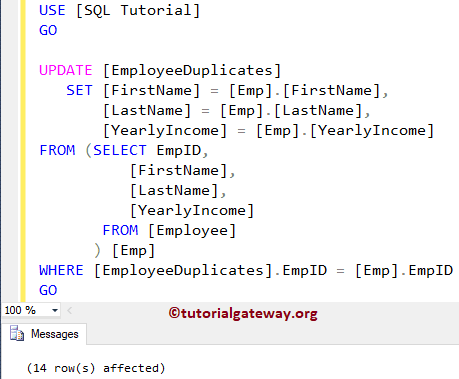 In this SQL update select example we will show you, How can I do an UPDATE statement with JOIN in SQL Server.